As a non-profit organization, Caron Texas does provided limited, partial scholarships to those applicants who qualify based on a financial needs assessment. Contact a Caron Texas Admissions Specialist now at 800-241-0352 to learn more. 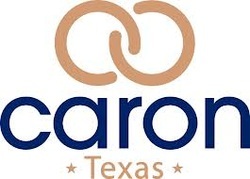 The Caron alcohol treatment and drug rehab facility located near Dallas, Texas provides medical detox, individual and group counseling services and family counseling services to substance users and their families.For patients admitted into Caron Texas for treatment, an individual personalized treatment plan is developed and then implemented by Caron’s highly experienced addiction staff. We believe that our Caron Texas addiction treatment center offers the same high quality substance abuse treatment programs as our treatment centers in Wernersville, Pennsylvania and Boca Raton, Florida. Caron Texas provides primary alcohol and drug treatment programs to adults and young adults and their families. The treatment programs offered at our Texas rehab facility are gender-specific and gender-separate, meaning separate treatment programs are offered for men and for women. For adolescent and earlier teenage individuals and their families, Caron Texas will discuss facility options with parents of teenagers with substance abuse issues. The primary focus of such discussion will be to educate the parents on rehab facility options and a possible referral within the Caron treatment facility community. If a Caron alcohol and drug treatment center does not appear to be an option, our Caron Texas admissions staff will help the parents to identify local rehab facilities that may be appropriate for their loved one. For individuals with substance abuse and addiction issues, Caron Texas will first treat the chemical dependency before helping the patient to identify available resources to treat any co-occurring conditions that might present in the addiction evaluation and assessment. The Caron Texas alcohol treatment and drug rehab facility will treat addiction conditions arising from the use of alcohol, marijuana, heroin and other opiates, prescription drug abuse, cocaine and crack and other addictive substances. In addition, Caron Texas will address certain gender-specific conditions such as sexual trauma, parenting and eating disorders among female patients, and anger, PTSD and coping skills in male patients through specialized groups offered during treatment. The Caron Texas drug and alcohol treatment center is part of Caron Treatment Centers, a nationally recognized provider of addiction treatment programs. Currently Caron Texas provides primary rehab treatment to adults and young adults of either gender and assists adolescents and teens and their families in locating suitable drug and alcohol treatment facilities whenever possible.